Being in bar business for over 15 years, working in them and clubs as an MC, celebrated TV presenter and events host Edwin Katamba had to do something for his life and he has started small with this new bar of his. 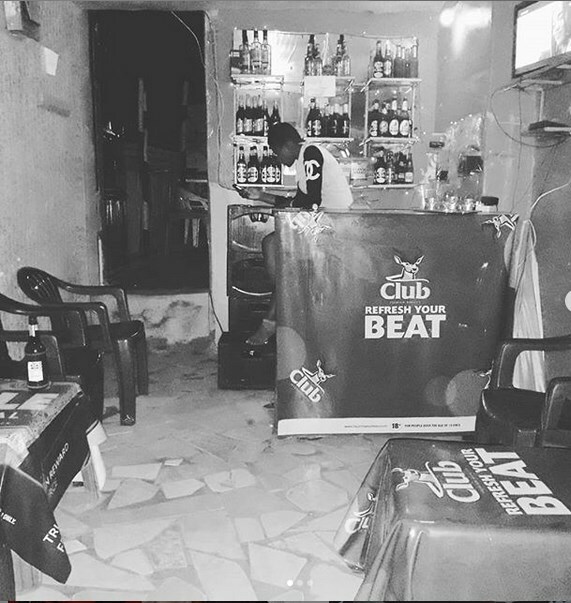 Located in a place we are yet to know, MC Kats has come out and shared photos of his small “kafunda” bar according to the photos we saw and it is so far not a bad start for someone looking at a brighter future. Confessing that opening up this bar was part of his 2018 goals, MC Kats went to his social media and excitedly shared the news with his followers.